Tonight we went to my sister's house for dinner. My nephew was visiting with his son, Andrew, and his youngest daughter, Elenora, our Goddaughter. Dinner was, as always, a delicious meal. 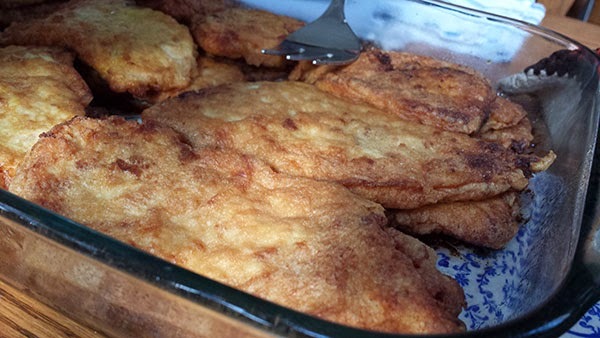 Chicken Cutlets, my mom's recipe. 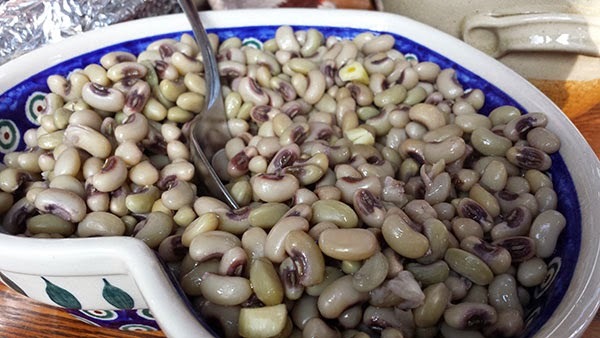 Black Eyed Peas in olive oil and garlic. This was her mother-in-law's recipe. Her mother-in-law was my second favorite cook of all times. Her Thanksgiving meals were epic! 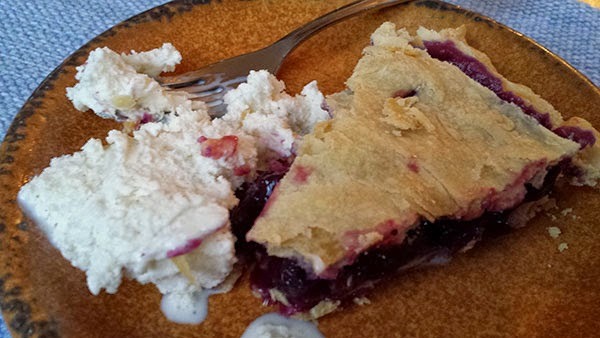 that my sister's pie crust is the best I have ever tasted. 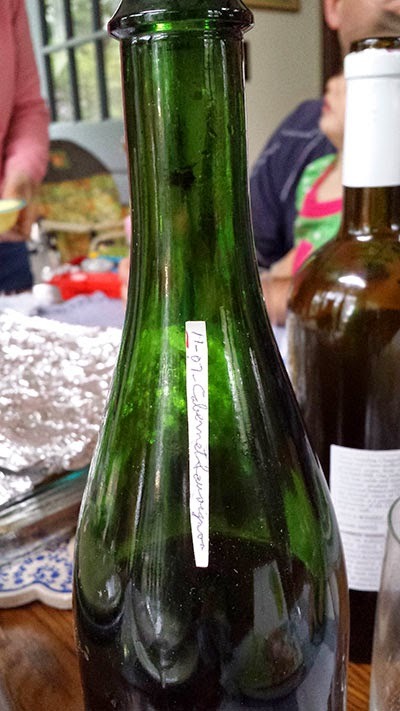 One of the wines Ralph poured was a Cabernet that my Dad had made. It was one of his best wines. Dear Lucia, It is so nice to have family and enjoy each other; especially when the food is good and the memories are shared.